I hope this post finds everyone safe and full of turkey! 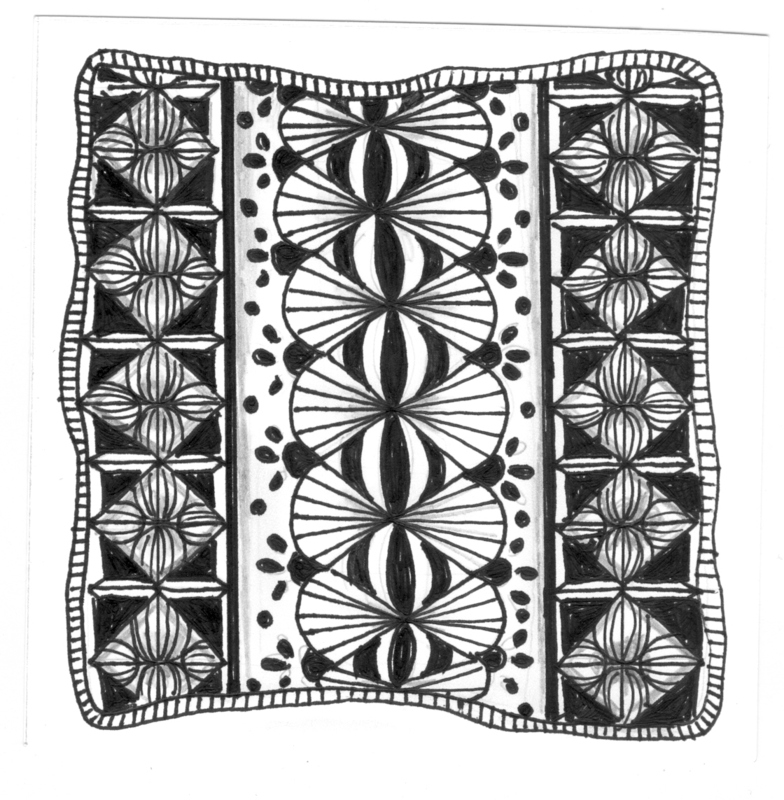 This Zentangle is made with just a few patterns. You can’t believe the self-control it took not to add just one more here or one more there. I just love all those crazy little things. I cut out a bunch of 3.5 x 3.5 paper to draw these on and I have no idea what to do with them all. I think they would make some pretty cool coasters if I could figure out how to waterproof them. I would laminate them, but I don’t think that the lamination would keep the water out after a couple of uses. Gosh, you have been doing lots. Another fantasic zentangle. I love the necklace too & laughed at your comments. I am untrendy! I love the simplicity of this design. Could you transfer the design to tile to make your coasters?